The Integrated BEd/BA, BSc, or BPHE makes it possible for students to work towards two degrees concurrently. This program allows students who have made an early commitment to teaching to begin studying Education within the first two years of their university studies. The Integrated program consists of 150 credit hours, which are normally taken over five years. Normally, students enter the Integrated Program in the first year of university studies. However, provision is also made for students who have completed work towards another Bachelor's degree to transfer into the program. During the first three years of the program, students complete requirements for a BA, BSc, or BPHE degree, including course work in two teachable subject areas (known as the "major" and the "minor"). Students also complete Education courses during the first three years. In the second year, students begin to experience the classroom through a student teaching practicum. Practicum experience continues and expands in the third year. Years 4 and 5 of the program are known as "certification years". Students complete a variety teaching methods courses, as well as extended practicum blocks in each of these two years. The first three years can be completed on a part time basis. Years 4 and 5 must be taken full time. Admission to the Integrated Bachelor of Education program is based on academic performance and the number of available spaces. Students who are not admitted will automatically be considered for admission to the Faculty of Arts, Science, or Kinesiology. 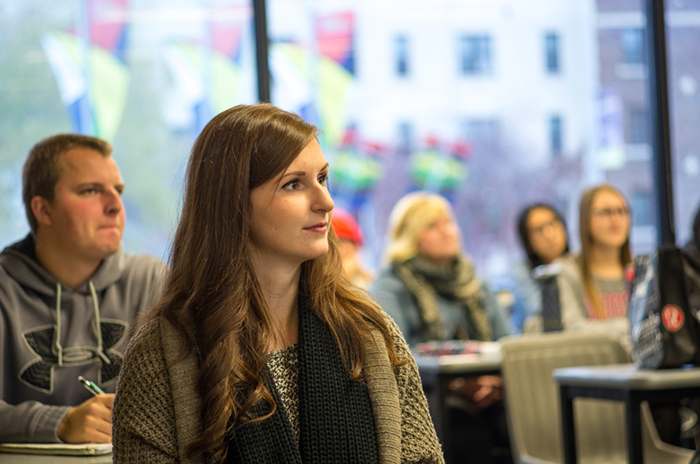 Students who completed courses in one of these faculties may re-apply to the Faculty of Education as transfer students in their second year. Applicants to the Early, Early/Middle, and Middle Years streams will be required to take 6 credit hours of university level Math courses, and are strongly encouraged to complete Pre-Calculus or Applied Math 40S. Students who have completed Essential/Consumer Math will need to take some non-credit Math courses in university in order to meet the prerequisites for university level Math courses.